Get the legal funding you need. We provide pre-settlement cash for wrongful death cases. The law defines wrongful death as the taking of the life of an individual resulting from negligent acts of another person(s). Wrongful death cases can be quite complicated, emotional, and create financial hardships for the family of the deceased. Interstate Lawsuit Funding understands the emotional stress associated with unexpectedly losing a loved one due to the recklessness and negligence of someone else. Even more so, our law professionals understand the stress of dealing with a pending settlement surrounding a wrongful death case. Our professionals can provide a lawsuit cash advance to those with a pending wrongful death settlement. 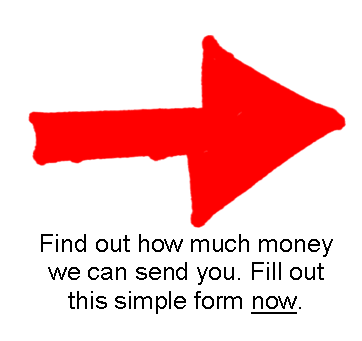 Do you need $1,000, $2,000, or even $5,000 in lawsuit settlement funding? If you need a lawsuit cash advance, Interstate Lawsuit Funding can provide a lawsuit loan while you are in the beginning, middle, or ending stages of your wrongful death case settlement. It is important to understand that insurance companies, while they make you think they have your best interest at heart, will quickly put their financial needs ahead of yours. They are working hard only to get you the minimum settlement amount. They want to wear you down so you settle for less than you deserve. A cash infusion in the form of a no-risk lawsuit loan can be helpful. Get the pre-settlement cash advance lawsuit loan you need while your attorney works to get you the cash you deserve. Here at Interstate Lawsuit Funding, we understand the financial turmoil of going through a wrongful death settlement case and the life adjustments that will have to be made while in the process. We know that bills still have to be paid and the household still needs to be maintained. We can help provide litigation funding to you and your family. Unfortunately, wrongful death occurs more than we would like to think. In Detroit, Michigan a 75-year-old woman was convicted of killing her grandson. The family filed a $1 million wrongful death suit against the grandmother. In Albany, New York the parents of a 15-year-old boy filed a wrongful death claim for medical malpractice after their son died two weeks after he was treated in a hospital emergency room. In Newark, Delaware the family of an 18-year-old University of Delaware student filed a wrongful death suit against two former University of Delaware fraternity brothers after questionable hazing led to the death of the student. Wrongful death cases can take a long time to settle. Litigation funding may be the best alternative to supplement income while you wait for your final settlement. If you need to pay the rent or mortgage, a car payment, funeral expenses, or every day expenses, apply for a pre-settlement cash advance loan with Interstate Lawsuit Funding. Our professional staff will work diligently to ensure your requested lawsuit loan is expedited so you can use your lawsuit loan as soon as possible. Once your application has been accepted and processed you will receive a certified check via postal mail. If, for some reason, your case is not won and you do not receive your final settlement, you owe nothing back to Interstate Lawsuit Funding. We only get paid when you have received your final settlement. Interstate Lawsuit Funding can assist financially while your settlement pends. There is no risk and no credit check. Our decision to provide settlement funding is based solely upon the merit of your case. Get the lawsuit loan you need by filling out the 30-second application.